A house that is well insulated, particularly with fiber glass insulation, is one of the best cost-effective methods of saving energy and helping in the reduction of your utility bills while it adds to the acoustic comfort of your house. 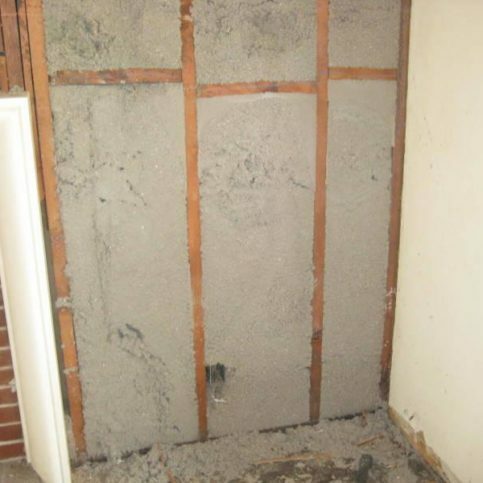 Fiber glass insulation can also be an excellent sound absorber. If insulation is installed in your walls and your ceilings, it will reduce the transmission of sound from other places in the house or outside the house. This sound could be noise from other rooms or other homes or appliances, like washers and dryers, stereos and televisions, or heating and air conditioning units. 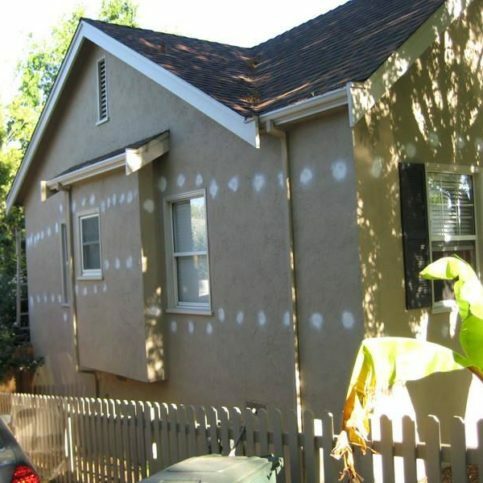 What type of insulation should I use in this home? Which areas of the house should be (or are) insulated? Does the insulation meet the recommended local and national insulation levels? Floors above an unheated place, like a garage or a porch. R-value is the way insulation is identified and labeled. The “R” represents the resistance to heat flow; and the greater the insulating power the higher will be the R-value. Usually this number will be printed on the bag or on the label of the product. Most of the time, the R-value will be written on the facings of the rolls, too. If there is no facing on the insulation, R-values are written on the product or with striped coding. You will have many insulation choices which include: foam, fiber glass, cotton, and cellulose. The types that are most frequently used for homes are cellulose and fiber glass. 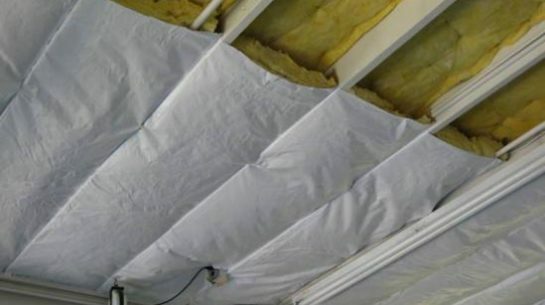 This insulation is one of the most meticulously tested building materials for over fifty years, which supports the claim that fiber glass is safe to use if you follow the manufacturer’s recommendations. This product can cause irritation or itchiness in some people. This insulation is still mainly untested, which leaves questions among those in the building industry about its health and safety. It is made of 20% fire retardant chemicals; however, the limited testing so far indicates the possibility of serious health concerns. Probably the most important thing to consider is the insulation installation. Even if you choose the best type of insulation, the full R-value will be achieved only if it is properly installed. 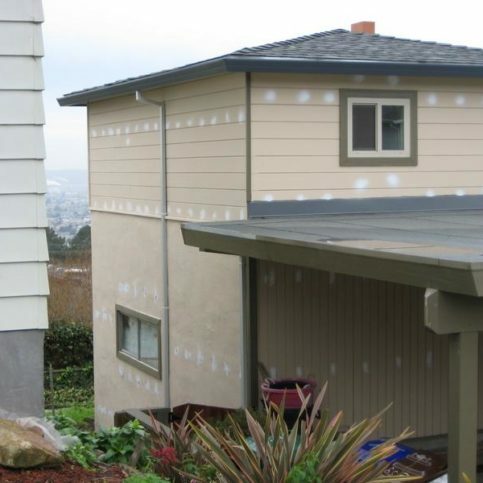 To ensure proper installation, look for a certified contractor that serves Alameda County including Oakland, Fremont, Hayward and Berkeley. Why Trust Diamond Certified Insulation Companies Rated Highest in Quality and Helpful Expertise®? 3) Full Disclosure: By clicking the name of a company above, you’ll see the exact rating results in charts and read verbatim survey responses, as well as researched articles on each qualified company. It installs cellulose, fiberglass, cotton and radiant barrier insulation. It also provides free inspections of existing insulation material. McHaleÛªs Environmental Insulation Co. is a home energy specialist. McHaleÛªs can help decrease energy bills and reduce unwanted sound. It can also help homeowners qualify for rebates and tax credits. 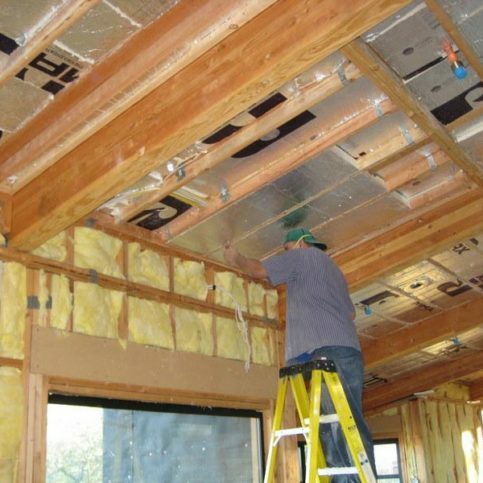 The company uses eco-friendly materials to upgrade insulation. Once you are ready to hire an Alameda County window cleaning service in the major cities of Alameda, Union City, Pleasanton, Newark, and Dublin, it is important to know what you want. Unfortunately, many insulation contractors are less than professional and do not meet the standard of insulation installation required. Use the questions below to help you determine what you really want from an insulation contractor and you are almost guaranteed to find the most reliable and trustworthy insulation company. Do I want a Diamond Certified home insulation company that is rated best in quality and backed by the Diamond Certified Performance Guarantee? Do I want a reputable insulation contractor that is fully insured and bonded? What is my budget for new home insulation? Are there any changes or repairs I’d like to have made before the insulation contractors start the insulation job? 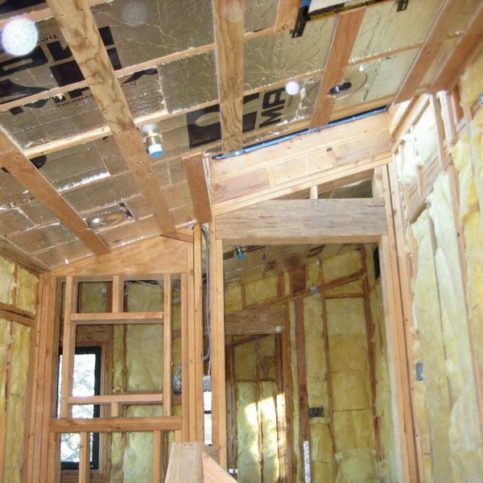 What type of insulation am I looking for: fiberglass, foam, cotton, or cellulose insulation? Do I plan to live in this home long-term? Or is this a house I plan to sell or a rental property? After questioning numerous Alameda County insulation contractors on the phone, you will want to cut down your list of prospects. Visit those few remaining insulation companies in person. Consider the following questions to help you obtain important information. Will the insulation produce an air barrier without using added finishing materials (like tape and plastic wrap) and labor? How soon can the insulation pay for itself? If I need to finance my insulation installation, will the savings every month be more than the cost of financing? 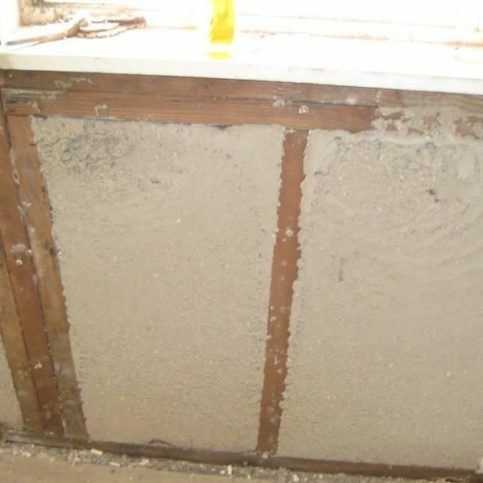 Will this insulation assist in keeping out allergens, dust and other pollutants? Can the insulation shift with my house when it settles? Will it keep same R-value over time? (R-value will be sacrificed when there is a gap or a seam in the material). Can the insulation dry out well if there is a roof leak and it gets wet? Also would it maintain the insulating properties during the wet then drying process? Is the insulation I’m considering a possible food source for mold? If so, what other types of insulation could I choose that will eliminate this possibility? Will installing new insulation help my home to be “greener”? How long will it take the insulation to be installed? 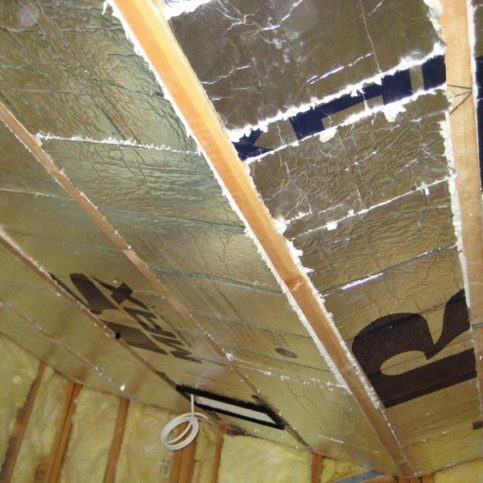 What is the R-value of the insulation that you are installing? What is the cost of insulation? Will it reduce the need for finishing materials to lessen the environmental impact during construction? It’s best to choose a Diamond Certified insulation company because all certified companies have passed an in-depth ratings process that most other companies can’t pass. If you want quality from an insulation contractors in Alameda County and the greater Bay Area, including the cities of Alameda, Union City, Pleasanton, Newark, and Dublin, you can have confidence choosing a Diamond Certified company. Diamond Certified reports are available online for all certified companies. And you’ll never be fooled by fake reviews. That’s because all research is performed in live telephone interviews of actual customers. If you can’t find a Diamond Certified insulation company within reach, you’ll have to do some research on your own. If you do, it’s wise to call some references provided by your insulation contractor. Keep in mind, though, that references provided to you by the insulation company are not equal in value to the large random sample of customers surveyed during the Diamond Certified ratings process. If you do call references on your own, specifically ask for a list of the company’s 10 most recent customers. This will help avoid them giving you the names of only customers they know were satisfied. Was the insulation installer on schedule? Did the home insulation company provide a written estimate of the expenses? Did the insulation crew keep a clean work environment? Did the workers clean up after the insulation was completed? Did the residential insulation company offer a receipt of for the installed insulation? Were you satisfied with the services from (insulation installing company name)? What type of insulation did the company install for you? Did the Alameda County installation contractor keep you up-to-date with the status of the project? Or did you have to call in order to get information? If you live in an area such as Castro Valley, Livermore, Emeryville or Albany, did the local insulation company charge extra to travel to your home? Did installation contractor clean up after completing the job? When you need new insulation in the future, will you consider hiring this insulation contractor again? Would you recommend this insulation professional to your friends and family? Were the insulation company employees punctual? Before deciding on the best insulation contractor in Alameda County for you, it’s important to consider the following questions. What can the insulation companies offer in Alameda County that meet your needs when it comes to types of insulation, scheduling, customer service and experience? Are the insulation representatives knowledgeable about the brands and techniques they use? Are the insulation professionals sensitive to your budget? Can they offer various types of insulation and services to meet your resources? Do the insulation companies offer written warranties that back up their work and their products? 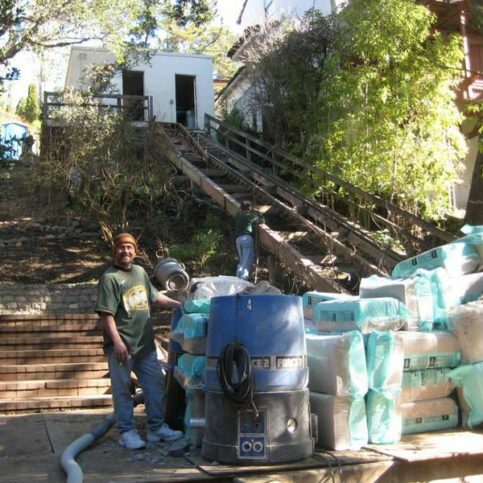 What are the billing practices of the Alameda County insulation company? Is the insulation contractor bonded and insured? Once you find a local insulation company in Alameda County, including the larger cities of Oakland, Berkeley, Fremont, Hayward and San Leandro, that meets all your standards, it is time to ask for a written contract. This contract should include the written details about the price of the insulation, as well as the date when the job will be done. Be sure to read and understand all the terms and restrictions before you sign the contract. This contract should protect your home or business and your interests, as well as those of insulation company. Because of this, you should never sign an incomplete estimate. Do not be afraid to write specific requests or verbal agreements in the contract. This will protect you and confirm that you get the services you agreed on. You might include issues that are not always in a contract, like any type of house damage from installing the insulation. But you can protect your property by being proactive. Before the work begins, schedule a walk through with the company supervisor and conduct a pre-work inspection of your property. List or photograph your landscaping, home and property and talk with a company representative about reasonable expectations for protecting your home and yard during the work. When you’ve reached an agreement, both you and the contractor should sign and date the document. When the work is done, do a final inspection together and check to see that your expectations were met. 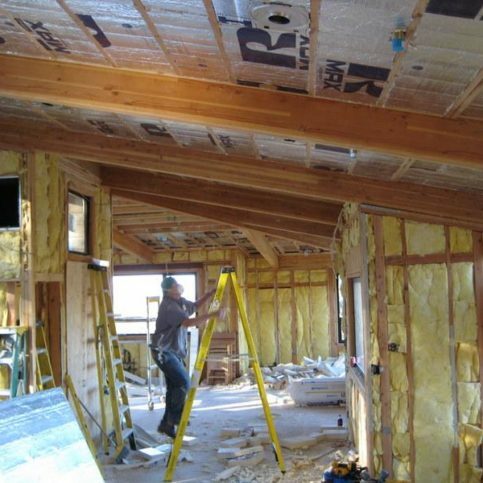 Professional insulation companies are able to handle the major and minor aspects of their work. But you can do some things to prepare for their arrival and make the job go more smoothly while the work is in progress. You may even cut down on billable hours or the possibility of damage to your home and belongings. Remove outdoor furniture and movable items from the around the exterior of the house. Before the work begins, remove all indoor or outdoor furniture, decorations, and movable objects from the work area. Anything that’s can’t be removed from the work area should be moved to a part of the house that is out of the workers way. You may also want to temporarily store any expensive items that are in high-traffic areas to prevent them from being broken. Provide adequate clearance and parking space for work trucks. Some insulation companies have large work trucks that require more clearance or parking space than average vehicles. Contact the company before the scheduled start date and ask them how many work vehicles will need parking space and whether the vehicles are oversized. You may find it helpful to walk through the site with your contractor ahead of time so they can point out any potential clearance issues or possible hazards you can move or minimize before the gutter protection installation begins. Keep children and pets away from the work areas. Your contractors will be focused on the work at hand and shouldn’t have to watch out for children and pets before, during or after the work. Cordon off the work area and keep pets and kids away from this area until after the work is done. This will prevent accidents, injury and the expense of any touch up work. How Can You Be a Good Insulation Company Customer? Why would you want to be a good customer? 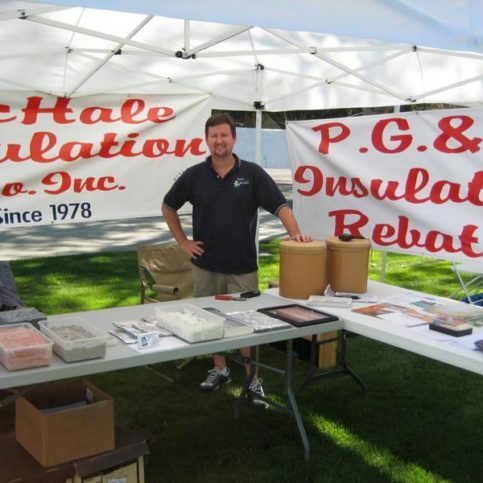 Insulation contractors in Alameda County appreciate customers who are straightforward, honest and easy to work with. Your good customer behavior sets the tone from your end and creates an environment conducive to a good relationship. Things may very well go smoother and any problems may be more easily resolved. It’s the insulation contractor’s responsibility put in quality insulation using the best possible installation techniques. But you play a big part in the success of your insulation, too. Here are a few simple steps you can take to be a good customer when hiring an Alameda County insulation company. Be clear and upfront with the insulation company. Let them know what you want from your insulation, the long-term outcome you’re expecting and specific ways they can satisfy your expectations. Before you hire an insulation company in Alameda County, restate your expectations and goals, and reiterate to the insulation representative your understanding of the agreement. Most problems with local insulation company occur because of a breakdown in communication. By being clear about your expectations and theirs, you can avoid most conflicts. Ask your insulation company if you should call to check on the progress or if he will call you with updates. Be sure your service representative has a phone number where they can reach you at all times while they’re installing insulation. The work will move along more smoothly if your insulation contractor can reach you for any necessary updates, questions or work authorizations. When your contractor contacts you, return calls promptly to keep the insulation company on schedule. Pay for the insulation work promptly. The Alameda County insulation contractor’s name, physical address and license number. An itemized list of the gutter protection system and the gutter guard supplies purchased. The total cost for insulation services, including the amount due for labor. Any applicable warranties or guarantees provided by the insulation manufacturers and the company. It’s smart to compare the completed work to what was promised on the written invoice. Ask your company representative to walk through the jobsite with you and show you the work. Check what was done against the invoice. During the walk-through, ask if there are any special instructions for maintaining your new gutter protection system. If you have questions about the work that was done or the materials used, this is the time to ask. Most good insulation contractors offer some type of warranty on their work or on the materials they’ve used. All warranty details should be provided to you in writing during the contract phase or at the completion of the job. The local home insulation contractor’s name and physical address. What products and home insulating services are covered. Your responsibility in the case of product failure, including actions you must take in order to redeem the warranty. (i.e., if you have to pay for labor or materials, or if you are required to pay a prorated amount). Terms, limitations and exclusions on the insulation, materials and workmanship. If the warranties transfer to the new owner if you sell your home. 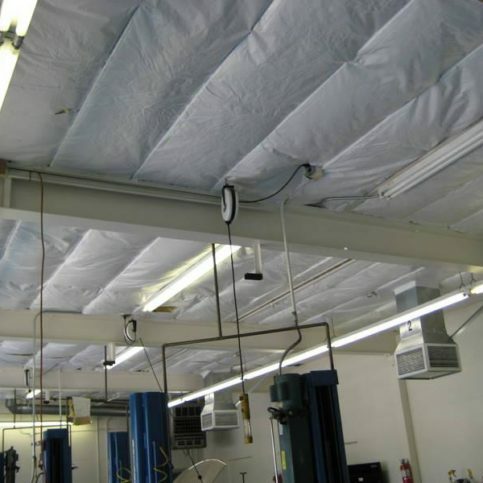 The most common commercial and residential insulation services in Alameda County are listed below. 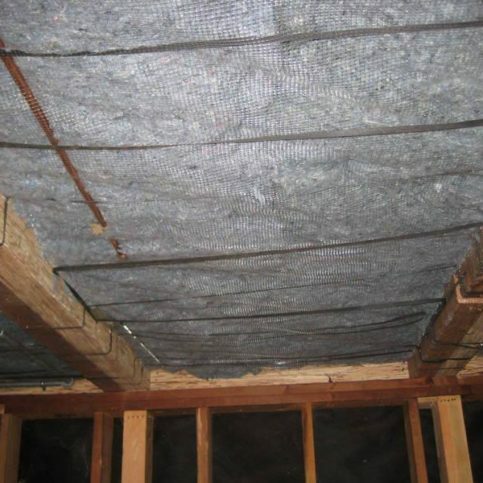 Installing approved insulation products, such as rock, wool, fiberglass, and cellulose, evenly across the unconditioned attic area to attain the preferred levels of thermal resistance. 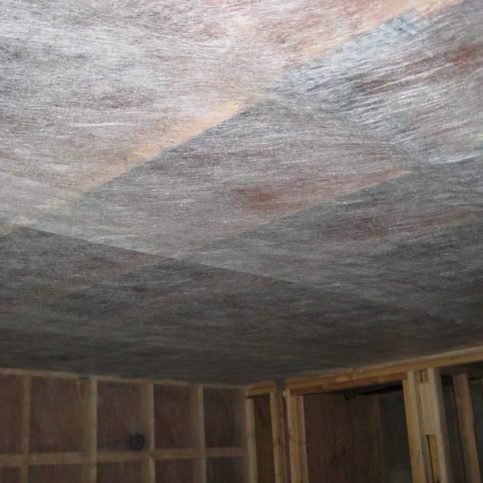 Adding insulation to a commercial building or a residential home in the walls, ceiling, or floors. 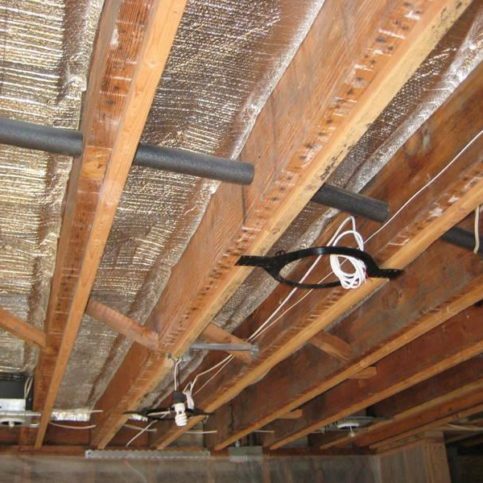 Applying insulation to the basement of a home or business for thermal, acoustic, or fire insulation. 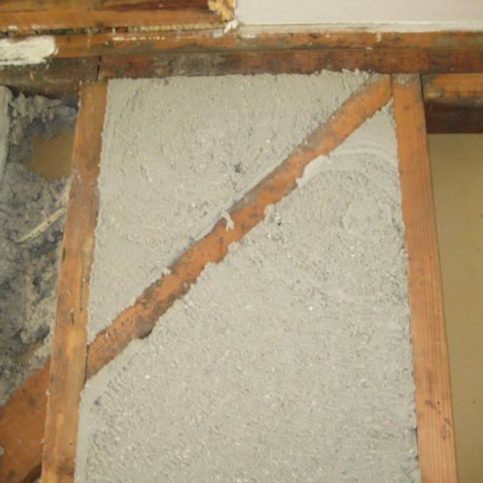 Applying insulation that is forced out of a can or other container onto the walls, ceiling, or floors of a business or home for thermal, acoustic, or fire insulation. 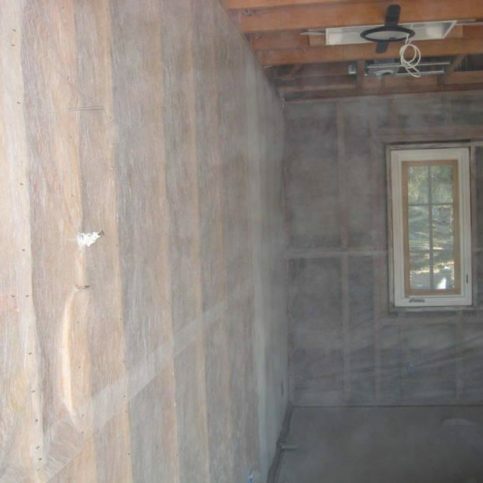 A method of applying insulation by mechanically blowing it into the walls, ceiling, or floors of a business, or home for thermal, acoustic, or fire insulation. Insulating the area of limited height which is under a floor or a roof, which is usually where the wiring and plumbing access is. Applying insulation to a building that lived in by a household or family for the purpose of in thermal, acoustic, or fire insulation. A very specialized two component mixed which comes together at the top of a gun to form an expanding foam which can be sprayed into wall cavities, concrete slabs, and other places insulation is needed. An expanding foam mixture made up of isocyanate and resin which can be sprayed onto roof tiles or wall cavities, among other places. Applying insulation to the walls of the room that is either completely or partially below a ground floor. Below are key insulation company terms and descriptions that will help you research, hire and deal with new installation services from start to finish. Always be sure you understand the terms, products, materials and installation techniques your insulation installer is using. If you don’t understand, ask for clarification until you do. A substance that is used to bond insulation materials by exterior attachment. 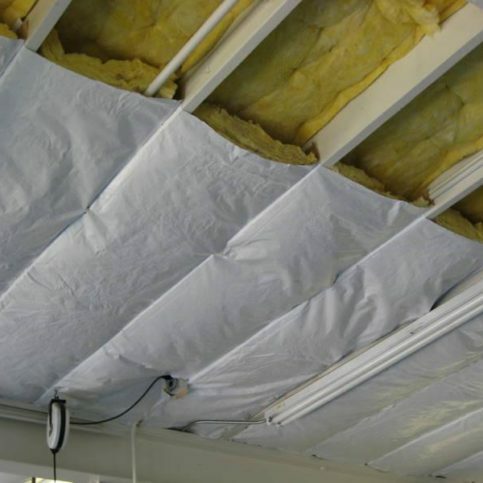 The installation of approved insulation products (rockwool, fiberglass, and cellulose) evenly across the unconditioned attic area to achieve desired levels of thermal resistance. Removing visible soot and char from the surface of insulating materials sufficient enough to attain an acceptable appearance. Working in attics and endeavoring to eliminate loose soot and char particles off of the insulation is one of the most difficult jobs. A piece of stretchy to semi-rigid type insulation with a specific width and length. It may or may not have vapor retarder facing. A nearly flat and stretchy insulation in sheet form furnished in units of considerable area. Rigid insulation that is formed into rectangular units. 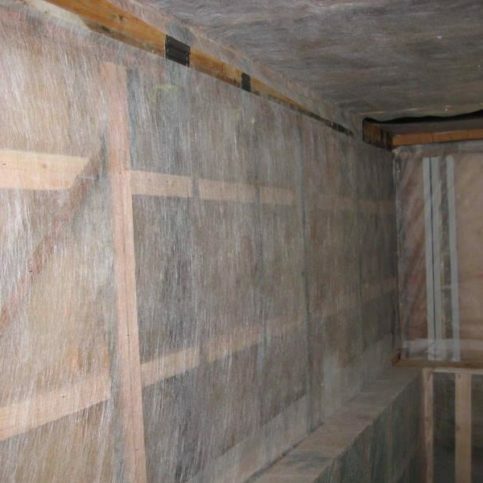 A method of applying insulation by mechanically blowing it into the walls, ceiling, or floors of a business, or home for themal, acoustic, or fire insulation. The process of sealing and making a space watertight or airtight. Caulking is an important part of residential insulation services. Requirement in a particular area that will outline the minimum level of insulation and/or other energy-efficiency methods for construction. These codes will be updated on an ongoing basis. Minimum levels of insulation are set by allowing for the cost of energy and the level that provides a reasonable payback. Fiberglass is a fibrous material made by spinning molten glass. It is used as an insulator and retardant of heat loss. 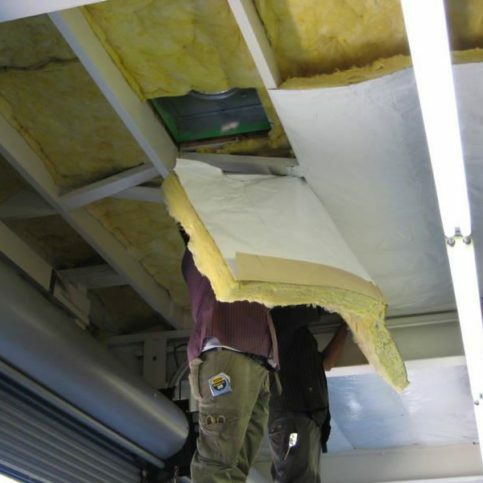 Fiberglass insulation is a popular choice for homes and businesses. Insulation that is made of fiber glass with densely packed fibers. It results in higher R-values for a specified thickness. This is mainly used in confined spaces like walls or cathedral ceilings. A mixture of several insulating fibers along with binders and water to form a moldable paste insulation which can be applied to fittings or irregular surfaces. The act of being insulated or the state of being insulated. Insulation also refers to the material used in insulating services. Process of removing insulation because of mildew and mold. Form of insulation that is appropriate to apply to cylinder surfaces. Material for insulation that is closed-cell and thermoplastic. A thin aluminum film which works to reflect the heat gain. Typically it will be fastened to the underside of a roof or in an attic space. It prevents the heat that is absorbed by hot roofs from transferring to the inside of the home. This spray is a coating which is applied to structures for insulation and other purposes. Spray polyurethane foam (SPF) is the most popular barrier spray. It provides a sealed thermal barrier for residential and business applications. These products are engineered for a diversity of uses which include roofing and fire control. This product is also used to block radiant heat from the sun. This is the measure of resistance to heat flow. Insulation materials will have very small pockets of trapped air, and these pockets will resist the transfer of heat through material. The capacity of insulation to slow down the transfer of heat is measured in R-values. The better the insulation material’s ability to resist the flow of heat through it, the higher the R-value. Q: Why choose a Diamond Certified home insulation company? A: Diamond Certified helps you choose a home insulation contractor with confidence by offering a list of top rated local companies that have passed the country’s most in-depth rating process. Only insulation companies rated Highest in Quality and Helpful Expertise® earn the prestigious Diamond Certified award. Most companies can’t pass the ratings. American Ratings Corporation also monitors every Diamond Certified company with ongoing research and ratings. And your new insulation purchase is backed by the Diamond Certified Performance Guarantee. Q: What’s the purpose of insulating my home? A: Insulation will keep the house cooler in the summer and warmer in the winter since insulation will resist the flow of heat. Heat, a form of energy, will always look for a cooler area. This means it will flow out of the house in the winter and into the house in the warmer months. If you can reduce the heat flow, a well-insulated house uses less energy to heat and cool. Insulation will also act like a sound absorber. With so much noise in our environment today, more are soundproofing their houses. Q: What parts of a house should be insulated? A: Attics and external walls are not the only places for insulation. Insulation should be put in other areas of a house, like attics, basement walls, ceilings that are vaulted, floors over unheated garages or porches, and in between internal walls, particularly the bathroom, lofts or floors. Q: What does u-value mean? A: U-Value means the amount of the rate of heat loss. The greater the insulating power, the lower the u-value will be. U-value is how insulation is identified and labeled. Q: Where can I find u-value information when I am buying insulation? A: Insulation manufacturers always print the u-values of their products on labels or bags of the product. Most of the time, u-values will be printed on the facings of fiber glass batts and rolls. Q: How can I get the best performance from my new home insulation? A: The installation of the insulation is the most important ingredient for performance. Regardless of the insulation type, the full u-value can only be achieved with proper installation. Make sure to choose a certified home insulation contractor. 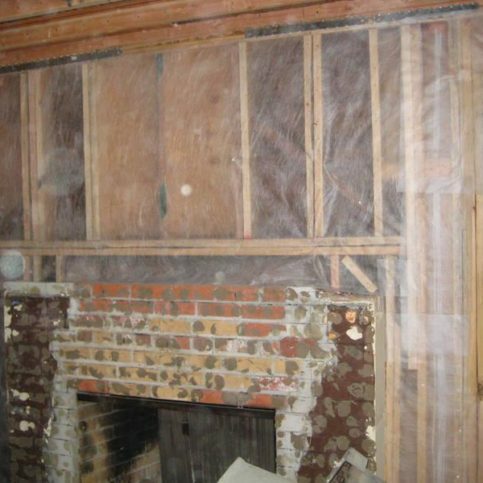 Q: When adding insulation to your home, do you need to remove the old insulation? A: Since u-values are cumulative, There is no need to remove any current insulation because u-values are cumulative. Q: Why and how can sound be controlled with the installation of new insulation? A: The limiting of sound from one area of the house to another requires the application of special insulation plus standard insulation to enclose the noise generating source. Then it forms a sound barrier between the source and the surrounding area. The purposes of controlling sound is to reduce obnoxious noise (like machines), to reduce the noise level, and to provide for good working conditions. Q: What options do I have when choosing insulation? A: You can choose from many types of insulation, such as cellulose, foam, cotton, and fiber glass. For residential homes, the most common types are fiber glass and cellulose.